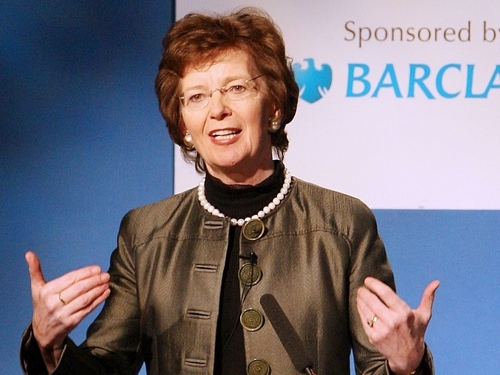 Former President and UN High Commissioner for Human Rights Mary Robinson has been appointed head of the International Commission of Jurists. Mrs Robinson, who has been a member of the independent commission of judges and lawyers, succeeds former South African chief justice Arthur Chaskalson. A renowned human rights lawyer and advocate, Mrs Robinson was elected Ireland's first female president in 1990 and served until 1997. She was later appointed UN High Commissioner for Human Rights for five years until 2002. Since then she has kept up her campaigning and set up her own non-governmental organisation advocating ethical globalisation. Mrs Robinson has been on an ICJ panel that is due next month to release the results of a three-year inquiry into the global impact of counter-terrorism measures on human rights.